Travelling overseas is fun and all. However, it requires more preparations prior your departure. Changing money is what you need to do if you are travelling abroad. You can only travel in your destination if you have local currency in your pocket. Sometimes, there are travelers who forget this basic thing and end up changing their money while they arrive at the destination. It is not bad but being prepare is more preferred. Besides, changing money without any knowledge prior can cause you lose a lot. If you are more prepared, you may get more pocket money for your travelling with local currency. What you need to know in changing money to local currency for travelling abroad? There are things to consider in changing money to local currency. One of the most common questions is where to do it? Well, basically, you can do this from several places even at home especially if you have large bank account. From home, you do many things such as buy foreign currency on a prepaid debit instead of cash. This is simple but quite expensive. You will need to pay for more such as for delivery fee. Another place to change money is at bank of course. However, you can do this at your destination instead of at home. To do this, you need to bring your passport for identification. This is simple way but you’d better research beforehand to make sure that the local bank doesn’t only serve their customers because some banks in U.S do so. Another easy way to change your money to local currency is by using ATM. Basically all your cards such as debit, prepaid, or credit card can withdraw cash from ATM. You can change money at the airport as well since most of them offer currency exchange services. However, the transaction fees might be higher than you thought. Before changing your money though, it is important to take some considerations such as currency exchange rates, currency converters, currency exchange fees, etc. It is important to know how much your money is worth in local currency. Thus, you know exactly how much money you will need for travelling. To find out information about it, you will need currency converter. However, this tool will only tell you about how much worth your money is in local currency without telling you transaction fees which is usually charged when you exchange money. You can download the tool or simply going online to find online converter. If you need currency converter for further use, it is recommended to download and install the one that fits for mobile use. As mentioned that you will need to pay for currency exchange fee. The amount of fee you need to pay is varied based on who charge you. For example, when you do it using ATM, then the bank is the one that will charge you with the fee. 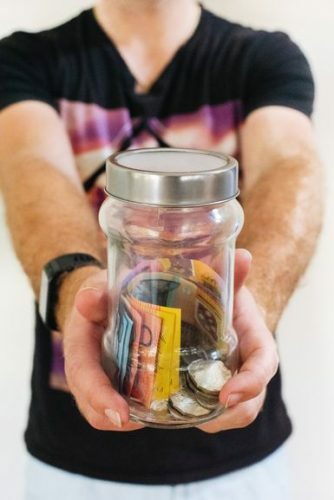 It is highly recommended that you do research to find out more information about local currency of your destination and compare fees charged by the banks. We are dreaming of and trying to live a healthy and more better life. There are things to do for sure. From exercising, cleaning the house regularly, and many more. Even we have started since the first time we were dealing with the house design right before build the construction up. 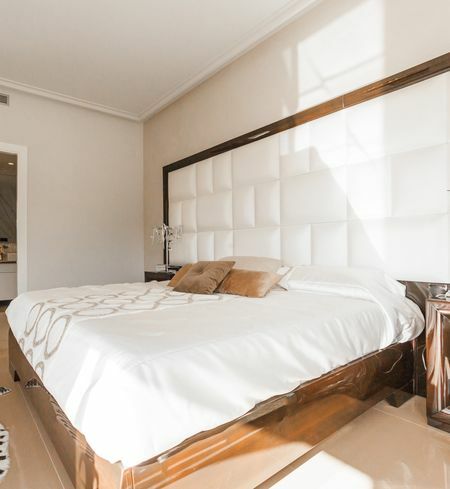 As each of the room at your house have the different function, your bedroom is also important and can help you start the life you have dream of. You can start to think about using the bamboo bedding sets from now on. Why it is important to have the bamboo bedding sets? Your house bedding sets may not the same with the food you are eating. Meaning, no matter what you are using, it can’t affect you in a short period of time. When you eat something strange, your stomach may be sick. But when you are using even the worst bedding sets in this world, you may feel nothing. But in the long term, it can be give you some negative feedback. That’s where the bamboo bedding sets are standing for. You have to get healthy and live a better life with the better bedding sets, and they are made of the bamboo. Sounds interesting or even this is the new thing for you? Keep on reading! When I said healthy at earlier or even on this post title, it is not only referring to the best condition for our body or mind. But it’s also for the environment. Yes! Your bedding sets are MATTER, because it can give the direct affect to the nature, especially when it comes to the raw material for making your bedding sets. Have you been think about the original materials of your bedding sets before and do the materials can be considered as to support the green product? Do the raw materials contribute to the destruction of animals in its the process? And, why you should use the bamboo bedding sets than the other available choices in the market? There are still many things to be asked, but the top 3 above are the important questions that need to be answered, sooner. We are now living in the fragile planet, not as dozens or hundreds years ago. Now, the earth is getting lot of threats everyday. The trees are cut down and used for the industry and it all happening everyday. The problem is, those tree even need years to be that big and high. We can’t plant their seeds and hope it will be growing in only some months or even a year. There’s a long journey for the trees to be developed. Imagine that the raw materials for your bedding sets are made of those trees. The products may help us, but surely that there will be more destructions to our environment than the benefits we can get. When the trees are also used as the main material, other animal may have to go as well since they may have build their nests on the trees. Many animals will be harmed just to get our bedding sets. So that, getting the bamboo bedding sets is really the answer for all the worst things I have mentioned. This is because all of the pillow cases, sheets, duvet covers, blankets, etc that are made of bamboo is the better product you can get. And I am serious about that. Bamboo is very easy to plant and grow. Many of the region in this world is also easy to finds it. We don’t have to spend more time or money for making the irrigation system, fertilizers and many more. Simply plant it and leave it, most of the cases, it will grow by itself with the help of its surrounding. Bamboo is also needn’t too much waters like any other trees, so the environment will be well-preserved. And, when it comes to cut down the bamboo as the raw material for the bedding sets, we still can plant the seeds again and will only take around some months to grow. What if the home depot companies are doing that? Then planting the bamboo may be even faster because they have the funds, technologies and the quality human resources for that. Now, if you use the bamboo bedding sets at your home right now, don’t you think that it will be the first big step to more better and healthier living? Because you can’t only think about your health condition when the environment itself is harmed. Share this to rise the awareness. Japanese food in Bali is here to stay, as the cuisines have become well-liked and easily became a popular choice among the Balinese locals. Japanese restaurant chains is grow steadily in numbers in the past decade. 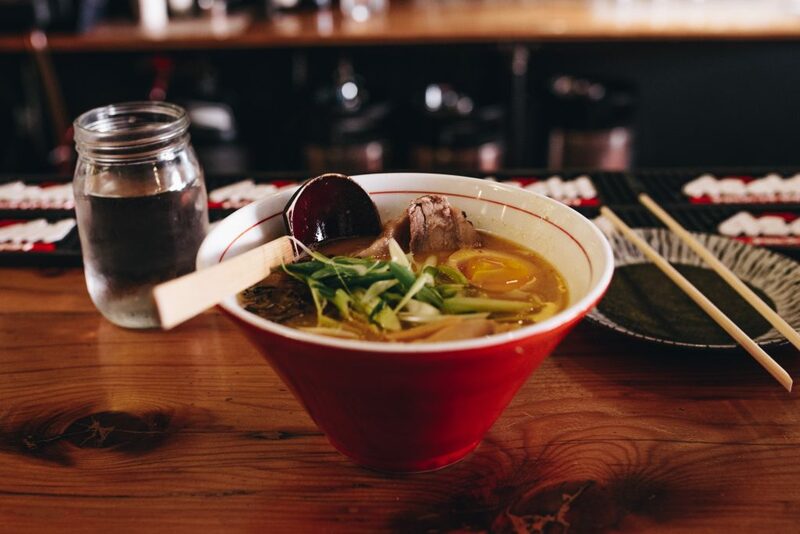 This list is not an exhaustive one, but it gives you a general idea of the locals’ go-to establishments for Japanese cuisines. And because it’s considering the locals’ preferences, price is an important consideration on this list. Usually located inside a mall or a big department store, Ichiban Sushi is highly popular with crowds across all ages. The place is often seen crowded and busy with families during the weekends. Ichiban Sushi is located throughout Indonesia, in Bali, it’s located at Level 21 Mall at Teuku Umar and Mall Bali Galeria in Kuta. The average price for a plate of makizushi (sushi roll) of 6-8 pieces is 30,000 – 50,000 IDR. If you’d like to eat a satisfying meal of sushi, order their Party Set that will set you back for approximately 200,000 IDR including tax and service charge. Marugame Udon is an excellent place if you’d like a quick bite. The system is incorporated with self-service, where you get your own tray and chopsticks, wait for your bowl as you stand, and get the condiments and other additions to your plate or bowl by yourself. On an average, one person would spend 50,000 IDR. They give you free ocha refills after you buy one cup. In Kuta, Marugame Udon is located inside Mall Bali Galeria, and in Denpasar, it’s located at a standalone building located at Jalan Teuku Umar. Ryoshi is one of the most authentic Japanese restaurant chains you’d find in Bali. It’s pretty pricey when compared to “local prices”, but if you spend a lot of time at famous Bali beach clubs and such, you’d find this place offers good value for money, especially for the quality of the sushi they serve. A mid-range price Japanese restaurant establishment mostly targeted for the locals. Zushioda served a lot of fusion Japanese food such as California rolls and some “fried” sushi. Ramen and curry is also served here. Zushioda is also popular with the families and is usually the most crowded during dinner. Sushi Tei’s price range is approximately around Ryoshi’s prices, which basically translates to expensive for a local’s price range. Their place is nice and often spacious. Sushi Tei offers a large variety of options and sets of makizushi, nigirizushi, as well as fresh sashimi. This establishment also offers a nice dessert option. Komodo boat trip is one thing that totally make your days totally jam-packed with adventure. People talk about it. Travelers rave about it. It’s a totally different adventurous trip than mountain climbing, camping, or yeah whatever. The trip itself is available for all kind of travelling style—from backpacker to honeymoon luxury kind of thing. It can cost you from USD $200 to USD $2,000, depend on your travelling style. The trip will take you to 2 – 3 days of excursion, crossing the Flores Sea and exploring the National Park. You will spend days disconnected from the rest of civilization, but not without getting immersed deep into the wild beauty of Flores. Leave your worry in the shore, it’s time for some frontier exploration! For this who have never been to Flores before, here’s some basic things you can expect to do in a Komodo boat trip. Reaching the virgin, isolated islands in Komodo National Park is the main point of booking Komodo boat trip. So you can definitely expect your Komodo boat to take you into the barren islands and untouched beaches. The National Park is blessed with more than 20 pristine and uninhibited islands on the archipelago—feel free to choose! Some of the traveler’s favourites are Padar Island, Kanawa, Pink Beach, Sebayur, and Gili Lawa Darat. There’s also the Bat island (Kalong), the only island you cannot step into. It’s the most popular destination for sunset in Komodo neighborhood. Your captain will anchor the ship some miles by the island to enjoy thousands of bats colony explodes, flying from the island under the sunset sky. What’s the point of Komodo boat trip without meeting the star of the show? Whether it’s a day trip or multiple days excursion, you can definitely expect a Komodo sightseeing! Currently, the dragons only live in Komodo Island and Rinca, two biggest islands in the national park. if you are going for a one-day trip, you might need to choose one of the two islands. Know that you need to pay an entrance fee to enter the national park, which is around IDR 225,000/person. Some Komodo tour include the entrance fee in their price, some are not. Always check with your operator and prepare accordingly. With rugged and undulating topography, trekking is definitely expected—if not mandatory—in Komodo National Park neighborhood. Some islands with the best panoramic view like Padar and Gili Lawa requires anyone to go through a short and steep trek before getting to the wonderful photography spot. If you think your Komodo tour will only take you for terrain exploration, you are wrong. With world-class diving sites spread under Komodo’s clear water, no on a would want to miss a dive/ snorkel adventure. A good Komodo boat trip operator usually have water sport equipment and their own dive master on board. You would definitely want this kind of operator, especially if you are a keen underwater explorer. The crews will help you to prepare your diving/ snorkel suits and provide proper diving guidance. Plus, you can expect a basket of warm fritters waiting at the ship tables once you are up on the surface! Well, well. Isn’t that the Komodo boat trip we are all dreaming for? To be able to lie in the vast decks, bathing in the warm sun and enjoying a glass of cold drinks? A good Komodo boat trip will make your tropical dream come true. They usually have neat and wide decks with patio chairs or cushiony bean bags to relax during the journey. Clean showers are ready anytime you feel sticky from the salt waters. On top of anything, you should definitely expect a good service from the crew. We hope this summary gives you an idea of what to expect in your trip. Always know what you can get for a better holiday deal. Cheers! Eco-friendly travel or is also called as green travel or sustainable travel has been hyped up for years. 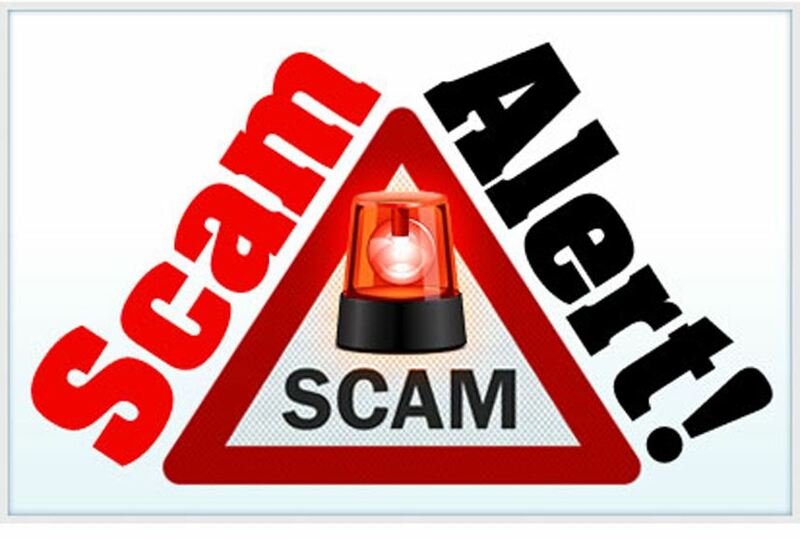 However, you need to know that there are many types of eco-friendly travel scam you need to beware especially when travelling overseas. It is important to not let your guard down because you are into go green mode while travelling which makes you forget that scams are still there. The popularity of green travel or sustainable travel keep growing and it leads to blur lines between the real and unreal. Therefore, you will be able to do green travel properly if you can recognize the most common scams. Local products sold by local people in what seem to like an old shop. It is good that you support the economic growth for the locals by purchasing local products. However, it is also often that people take advantage with your good intention of supporting locals and having green travel by manipulating the products or the price. You can avoid this scam by asking about how the products processed, where it made, etc. There is also eco-friendly travel scam in a form of ‘voluntourism’. This is quite popular these days. Lots of travellers are interested to not only travel but volunteer to enrich their travel experiences. However, it is often that the benefit just goes to those who facilitate the volunteer’s maintenance during stay instead of the local themselves. Thus, make sure to choose volunteer program carefully. You need to be aware of begging economy. It is hard to ignore a kid begging for money while you are travelling abroad. They look pitiful that your heart just aches to see them. However, you need to resist the urge to give them money because then you are supporting begging economy. You can do thing much better such as donating your money to educational initiative. This will make bigger differences because you go for the root. There is also issue called greenwashing. You need to be aware of travel agency that promotes eco-friendly travel concept because not all of them are trusted. You need to find out if the business employ the locals and pay them fairly or not. You also need to find out more about their sustainable operations. Make sure to choose the right local cuisine. While travelling, you have desire to enjoy local cuisine as much as possible. However, make sure that you don’t eat scarce cuisines made of rare animals or meat from black market. Make your research about this eco-friendly travel scam so that you eat the right local delicacy without contributing to any dangerous field you are not aware of. Scuba diving is increasingly trendy and popular among the public. Diving is no longer scary and expensive activity. Many ways to dive without spending a lot of budgets. Diving equipment is one reason why scuba diving is an expensive activity. If you are a beginner, you don’t need to buy and have your own diving equipment. Learn well the basics of diving. Make sure that diving is your passion. How to do the right diving activity? What needs to be prepared for diving? You need to be certified as a diver. How? Follow scuba diving lessons for beginners. How to find the best and trusted dive center? Seeing reviews of web pages is the right way to find a dive center. You can find reviews from various dive sites easily on the internet. Make sure the dive center you choose is recommended. Entry level is the initial stage of scuba diving for beginners. 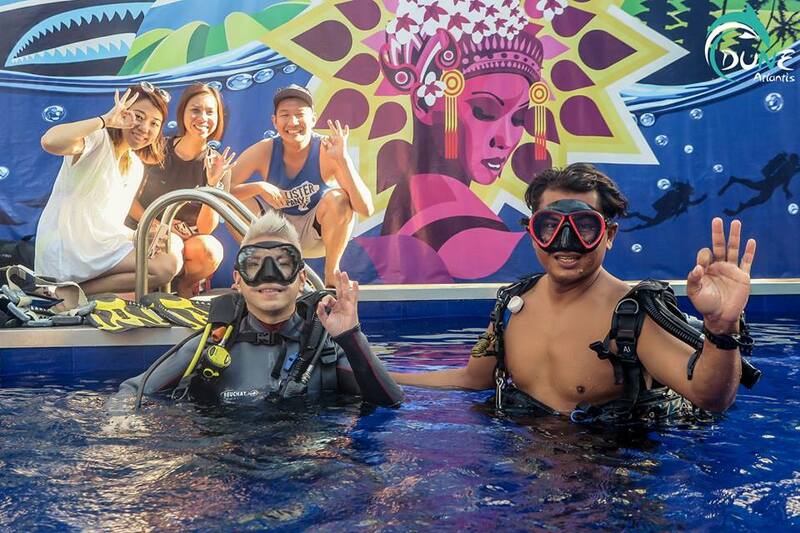 To be called a junior or beginner diver, you must pass the entry level. What will be learned at the entry level is jumping into the water using scuba equipment. Learn to install diving equipment in the water. It is recommended that you are expert in installing diving equipment in the water while still a beginner. Comfort is important when diving. Things that disturb your diving comfort can make your dives not optimal. The right diving equipment is your main capital to explore underwater. When you find water entering the glasses, this will make you very uncomfortable. For this reason, initial fitting before diving is an important factor. Do not hold your breath while underwater. Many divers unconsciously hold a little breath when blowing air through the mouth. This will be very dangerous because it can cause lung accidents. In diving, body position affects our buoyancy in water. Do it right and slowly. This is an important lesson scuba diving for beginners. Move your feet properly to produce strong power and not easily tired. Communication on land and in the ocean is not the same. You can’t communicate as usual under the sea, for that sign language is created. This will facilitate diver communication with other divers or with instructors. Learn sign language well. Sign language errors have different meanings that can endanger divers. Hand signs are the crucial one in scuba diving for beginners. Ear adjustments and water pressure conditions are important. You can do this by closing your nose and removing air through your nose with your hands still squeezing your nose. Do it as often as possible. It is advisable to equalize every time you enter 1 meter below the sea. Doing an initial dive on the high seas requires careful preparation. The basic dive training that you learn is a determinant of the success of your first dive. Beginner divers are at risk of facing problems at the start of diving. Scuba diving for beginners is the first step for you to become a professional diver. You might have been familiar with green travel. If you consider this, then you might as well find out travelling green tips to help you execute this kind of travel successfully. 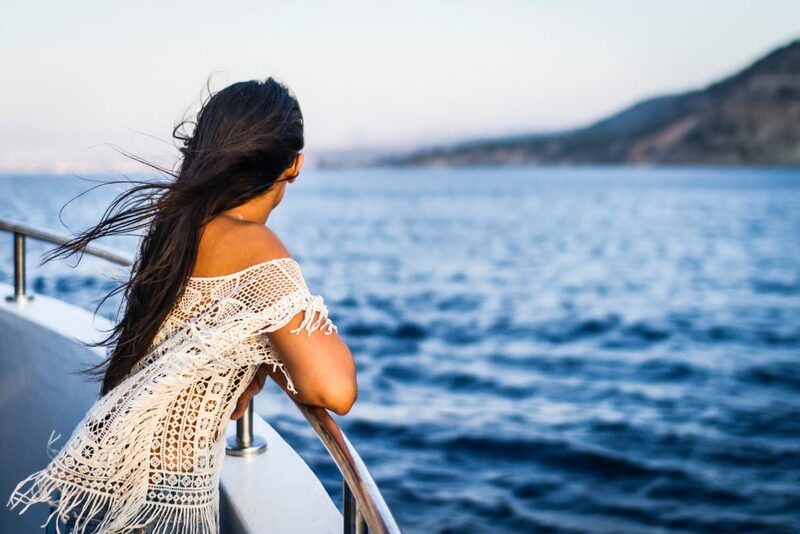 At the end of your vacation, you will not only gain self-pleasure such as refresh mind or recharged energy but also minimizing environmental impact of your travel. Green travel is not complicated approach. This is a simple method and practice that you can even do at home to get used to it before going off your vacation. By applying green travel, you pay attention to the environment. It means you travel with responsibility towards Mother Nature. It is not only that because practicing green travel also means you pay attention to social and economic sustainability. Another term people use similar to green travel is eco-tourism. Those are generally the same practices. How to do green travel properly then? Green travel starts even from the preparation. It is highly suggested that you pack light. By packing light you contribute to reduce fuel consumption and greenhouse gases emission which endanger and damage the atmosphere. It is much better to bring reusable shopping bag and water bottle. You can reuse shopping bags many times without adding the amount of waste. Reusable water bottle is also more practical to carry everywhere. You just need to refill with water fountain during your travel. This one of travelling green tips is important to follow because Plastic bags or water bottles are meant to be trashed to the trash can which just add up the amount of waste on our Earth. Plastic is hard to materialized into soil. Indeed, it just contaminates the environment. Before going to your destination, make sure you turn off the lights of your home as well as turn down the thermostat. Don’t let any electronics plugged into electric terminal. This will not only save the energy consumption but also your bills from unnecessary use. If your destination is not that far, you can take a bus instead of plane. Airplanes take a lot of fuel so it just increases energy consumption. By taking a bus to your destination, you contribute in reducing carbon emission. Train also emits less gas than airplanes so it can be a good alternative. If you really can’t take public transportation, you can rent a car but it i recommended to choose smaller and hybrid vehicle to accommodate your green travel mission. It is recommended that you stay in green hotel during your travel. There are many hotels now supporting green campaign to help saving the environment. Make sure you research about this kind of hotel before going on your vacation. 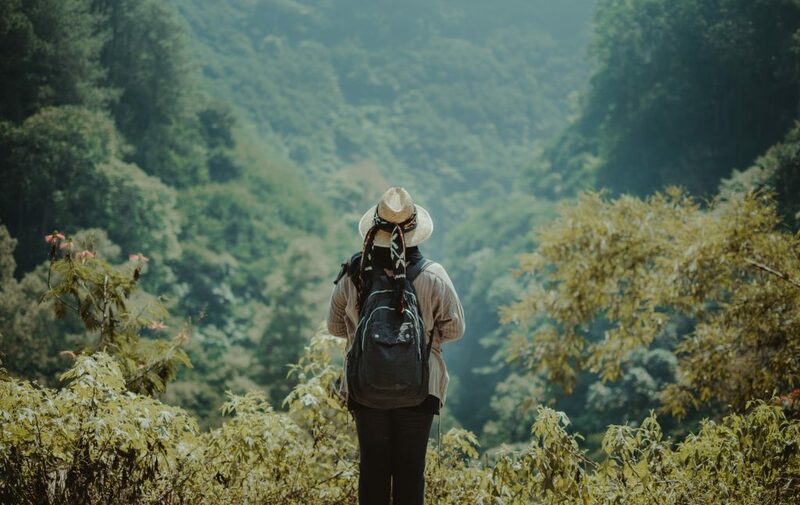 During your travel, you can apply green travel practices such as eating local foods made of organic ingredients, keeping shower shorts, taking public transportation, purchasing meals or products from local vendors, etc. They are considered simple practices of travelling green tips especially if have been used to practice them in your daily life. Can you really book Komodo Island tours from Bali? Is this plausible though? Some people knows Komodo Island from travel journey, some others heard it when they are staying in Bali. People who make Komodo Island and Flores as their main destination usually take a direct flight from Jakarta, the capital city of Indonesia. The direct flight will take them to Komodo International Airport, Labuan Bajo, Flores. This is the shortest means of transportation for those who want to get straight to the point. From there, they will continue the journey to Komodo Island and around by boat. But what if you belong to the second group? What if you want to spend some time in Bali before going to Komodo or just heard about the trip during your days in the island? Worry not, my fellow travelers. There are many tour provider that opened their branch in Bali for easy access. It can be quite tricky, though. These simple tips of booking a Komodo Island tours from Bali can be your little help. Just as I mentioned before, there are several Komodo tour provider who opened their service on the island. Not all of them are five-starred rated, though. You need to do your own research to find the most comfortable boat for you. It’s good to meet directly with the owner while you are still in Bali. You can discuss about the boat and the tour package before going to Labuan Bajo—and maximise your preparation. This way, you can also have wider chance to compare one boat with another. It doesn’t have to be the priciest. I know a Komodo Island tours from Bali that are just the comfiest and very stylish, with a great deal of price. The owner was very friendly and let me know all the options they have to offer. It might worth a try! As soon as you have book your Komodo tour operator, book a direct flight from Denpasar to Labuan Bajo. This is by all means the quickest and safest way to reach Flores from Bali. The flight only take about 90 minutes. Make sure you book the window seat! The scenery is very amusing—you will get to see series of island rising from the blueness of ocean. You will realise how translucent the water is, and how it hides healthy corals underneath. Such a magnificent view to see! Know what you pay. Always talk with the Komodo Island tours from Bali that you meet about price coverage. Does it include the Komodo National Park entrance fee? Will you pay for ranger guide by yourself or get it arranged by the tour? How much extra cost you need for activities in the National Park? Discussing every little details will save you from future disaster. Before you want to go all out and take the big excursion, think again. This option is indeed the cheapest option to reach Flores from Bali. It also guarantee the chance to see Indonesia’s many beautiful island and diverse culture on a single trip. However, it might not be the safest and comfiest option. First of all, the ferry trip take around 36 hours from Bali to Labuan Bajo. That’s one of a long ride! The route is neither the safest—the ferry is sailing in rocky waters and it’s quite hard to navigate. You don’t want to die before seeing the ferocious Komodo Dragon, do you? 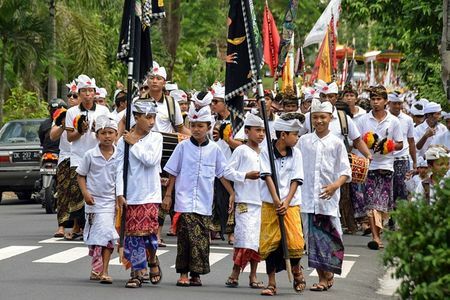 Although Bali is considered one of the world’s most popular destinations, unfortunately, this island (and by extension, the country in general) is still slow on its uptake on transport. Bali does not have a comprehensive public transportation system. Getting around could be a real headache if you don’t do your research or plan ahead. Getting a taxi could be simple and straightforward, but a 100K IDR bill here and there, it easily adds up in just a day. And before you know it, you’d spent a significant amount of money that you could really save for something else. Here are some of the cheapest options that will help you get around Bali without spending more than you should. This green vehicle come in three sizes; the medium bus (contrary to its name, it is the largest bus they have), the long mini bus, and the short mini bus. Kura Kura bus public shuttle is an affordable and simply an excellent method to get to popular tourist areas. Tickets start from as low as 20,000 IDR. This public shutter operates daily from 8.30 am to 10pm. However, some lines may close earlier, so obviously this is not a viable option if you wish to stay out late. Some of the major tourist destinations/attractions that the Kura Kura Bus get to are Seminyak Garden, Beachwalk shopping mall, Seminyak Village, Museum Puri Lukisan, Bali Bird Park, Bali Zoo, and many others. The main hub is located at DFS Bus Bay, located at Mall Bali Galeria near Kuta’s Simpang Siur Junction—which is hard to miss given the sheer size of the place. They have an informative, comprehensive website that you can access anytime, watch out for the cute Kura-Kura (turtle) logo! Bali’s first ever government-run public transportation is the blue bus known as Bali Trans Sarbagita. It is the cheapest public transport you could experience in Bali. Most of Sarbagita’s passengers are locals. At certain hours, you can see some street vendors going to their work destination or coming home with their baskets. The ticket for the Sarbagita bus only cost 3,500 IDR for adults. It operates from 5 am to 9 pm on paper, but often times, the bus stopped operating at 5 or 6 pm depending on many factors, because there’s little to no passengers. Therefore, there is no fixed time schedule and you should proceed with this in mind. It’s not an ideal means of transport if you’re short on time as you may have to wait up until one hour (probably more) depending on traffics. Try to ride Sarbagita for the experience of it; you’ll see the local school students chatting with each other or local vendors who go to faraway markets to sell their goods. Sarbagita is also usually not crowded and all units are usually well-conditioned, so you don’t have to worry about being uncomfortable during your ride. Unlike the first two options, online transportation is the most convenient method if you’re short on time and you want to go to specific places not covered on the routes on Kura Kura Bus and Trans Sarbagita. Online transportation is the most transparent means of transport when it comes to the costs, so you don’t have to worry about being overcharged or ripped off. Consider getting an in-app balance that you can top up easily with your driver once they arrive, or go to the convenience stores listed where you can get your balance from. You can also ask the help of a local you trusted to top up your online transport balance for you. Undoubtedly the best method. Hands down, the cheapest and the most convenient, considering the narrow roads of Bali. But only go for this route if you have international driver’s license that allows you to ride motorcycles. Let me ask you one question, if you have realized that Bali as one of the top travel destination in the world, doesn’t it will be visited by millions of people in a year? And that will be the best times for doing businesses. But you don’t have to do it alone. If you can’t build your own team, then simply find the the best Bali digital agency around. As digital marketing roles the important part in digital world, now everyone with the smartphones in their hands can be your client, buyer or anything you considered can improve your business. Your business now is running in a fast world where the penetration of information is occurring in just a second, or even below it. We actually can’t chasing all of the information. All you have to do is well-prepared your business and create the better chances to make it increasingly high. With the best Bali digital agency that you can find, that will be possible. The best time to hire a Bali digital agency is depending on your situations. What you are actually need at the moment? Digital agency can have various creative divisions. You can use the get a graphic design services or photography and videography, marketing plans and their execution, increase your business brand and identity and many more. Most of the digital agency including based in Bali are also offering the website design and development service. So, if your business have not yet get its own online address, you’d better creates it now. It is important to make your own business site if you want to create more and better chances to find more wider and targeted customers. The more visitors your business site has, the better. So that, there are also many Bali digital agency that are offering their customers about the SEO service. The way how to make your site business generating more visitors and also conversion if you are selling products online. But, we can’t just stop at that point. digital agency is also provides us the online advertisement services. Let’s say you want to put an ads of your business in using Facebook Ads, Google Adwords, Instagram or any other social media platforms. If you don’t know about how to run your online ads campaigns especially to get more visibility (clicks) with the cheaper funds, then you can call your best Bali digital agency you have believed in. There are more of advantages you can earn when you can work together with the digital agency. Or let’s just say that they will be the first and the last standing business firm that will help you about your business. It a digital thing, so leaves it to the expert. To simplify about what you can get by hiring Bali digital agency, you can remember the 3 words i’d like to share which are: Contents, Creative and the Stats. The contents can be in various forms. They can be the blog posts, social media and SEO campaigns, ads copywriting, and many more. While the Creative side will be support all content by providing amazing and engaging images and videos, infographics, and other resources. The Stats itself is something you have targetted before. Does all of the contents and creative things can make your business reaches its goal or not. It will talks about anlytic tools and results, targets and goals, conversions, etc. That is also the answers of how important the digital marketing is. No wonder if there will be many people are considering it as one of the important elements of a successful business. And through Bali digital agency, again, it is possible. Digital agency should be employed by many of the businesses or organizations in all forms. Your business doesn’t have to get more workers first and then hire the agency. 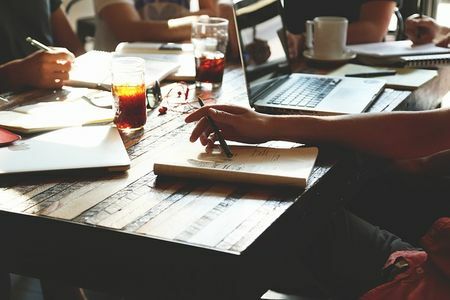 Even if you are the solopreneur, freelancer, up to the international and large company, you can always try to improve your business to the next level with an agency. Now, I know that when it comes to talk about the best time to hire the Bali digital agency, you can always do it in almost anytime. You’ve got the money in your hands, you have known what the advantages to work with the agency, etc, so when you will visit and taken contract with the agency? It is simple. Since (somehow) every business in Bali are related to the tourism sector, so you’d better start your campaign at least some months before the highest season of travel in Bali. Depending on your business, if you are renting a villa, then the sooner you are starting, for example the online ads, the better. For you who still not have a business website, then you should talk about it with the Bali digital agency you are trusted with. Keep in mind that millions of travelers are coming to Bali every year, even it is usual to see them everyday. With that information, hope you can also increasing your business to be better than before.